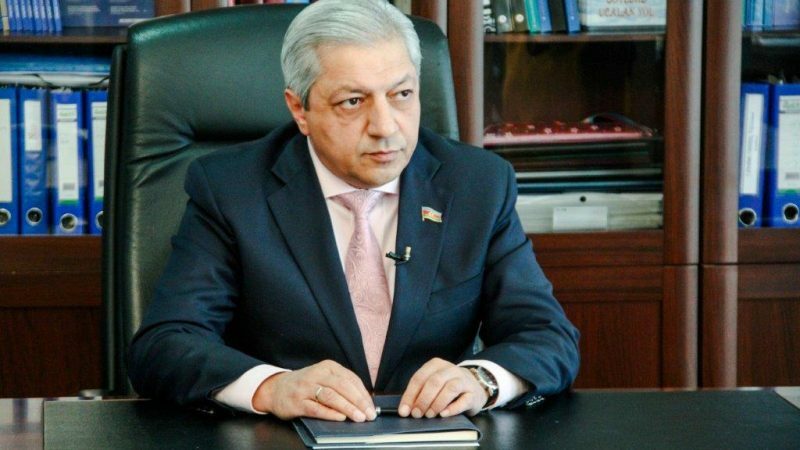 Javanshir Feyziyev is the co-chair of the EU-Azerbaijan Parliamentary Cooperation Committee (PCC). A linguist by training, he worked in the private sector before being elected a member of parliament in 2010, and re-elected in 2015. What is your reaction to the EP resolution on “Azerbaijan, notably the case of Mehman Huseynov” adopted on Thursday (17 January), which is quite critical of the handling of his case by your country’s authorities? What is your authorities’ version of the reasons for his imprisonment? Is it possible in your country to criticise a leader, like the president or the vice president? The resolution mentions by name political prisoners, including journalists, human rights defenders, and other civil society activists, namely Afgan Mukhtarli, Ilkin Rustamzadeh, Rashad Ramazanov, Seymur Hazi, Giyas lbrahimov, Bayram Mammadov, Araz Guliyev, Tofig Hasanli, Ilgiz Qahramanov, Afgan Sadygov and others, and calls for their unconditional release. Will this happen? If not, don’t you think the consequences will be very negative? The list of names, known as those of political prisoners, includes also persons convicted for recruitment of fighters in Syria and Iraq. So, it is very far from being an objective list. As I said before, there is no problem to criticise, yet defamation is a different thing and is punishable by law anywhere in any democracy. When a journalist is illegally spreading personal details of somebody or intervenes into somebody’s personal life, which is protected by the law, he is becoming guilty and must be convicted. Or when a journalist is using his professional status to blackmail others or extort bribes to stop blackmailing, he is convicted. Registration of a press entity in Azerbaijan is very simple: all you need to do is to send an online statement to the ministry of justice. Some people are misusing these opportunities to try and secure themselves with the immunity of journalist or NGO to commit illegal acts. If we are talking about the rule of law, any convicted person can be released only through a court decision, which could not and should not be affected by a political resolution. Some events in Azerbaijan are prejudged within EU, or by some of its politicians with intentional bias. Some MEPs have a clear agenda to make obstacles to the rapprochement of EU-Azerbaijan relations. We know them very well. They are exactly the same individuals who travelled many times to occupied territories of Azerbaijan to support separatists, provided conscious political support to Armenian military in its ethnic cleansing of Azerbaijanis from their native land. These MEPs have participated in “local elections” held in the so-called “Nagorno-Karabakh Republic”, which have been always evaluated as illegal by the EU and all international organisations. They permanently attack Azerbaijan within the EP and EC to damage its international image. Their driving motives are not always altruistic. There are indications that they are financially backed by criminal Armenian groups located in different European countries, including their country of origin. Azerbaijan is a country that is open for bilateral, mutually beneficial cooperation with anyone genuinely interested in pursuing such cooperation, first and foremost with the EU. Many reforms have been carried out during the last 10-15 years in administration and legislation of my country, many of them thanks to the expertise of our European partners. Indeed, the know-how was theirs, yet the political will has been ours. That’s why we invite anybody who doubts the progress of democracy and freedom in my country to visit Azerbaijan and witness the reality.